On November 10, 1852, Thomas Roberts, a portrait painter, and his wife Mary (nee Griffiths) arrived in Melbourne with seven of their children on the Hope to begin a new life in Port Phillip. The children were Samuel (20), Ellen (18), Sarah (16), Hartley (14), Elizabeth (5), Emma (4) and Walter (1). Thomas was born in Denbighshire, Wales, and had spent a number of years in Manchester at least from the time of his marriage in 1830 until sometime before January 1846 when he and the family moved to London. In Manchester, the family had been involved with the Welsh Calvinistic Methodist Church Chapel in Cooper Street. 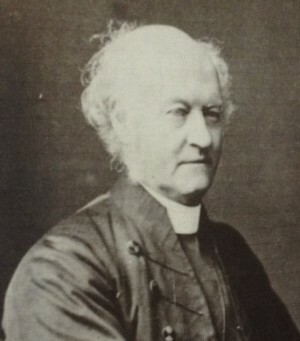 Thomas not only worked as a portrait painter, but he also served for several years as a London City Missionary and, according to Thomas’ grandson, he received a ‘lay reader’s commission from the Bishop of London to act as a chaplain on board the ship’ on their trip to Australia. Thomas and also his two daughters, Ellen and Sarah, came to the colony under the auspices of the Colonial Church and School Society (CCSS) whose purpose was sending out clergymen, catechists and school teachers (both male and female) to the Colonies of Great Britain and to British residents in other parts of the world. Ellen, was appointed in charge of the St Mark’s Girl’s school Collingwood, and Sarah also worked for several years as a school mistresses in Melbourne. The CCSS was formed from pre-existing Anglican Evangelical Societies (Newfoundland School Society and the Colonial Church Society) on January 1, 1851, and the Rev Mesac Thomas (afterwards first Bishop of Goulburn in New South Wales in 1863) was appointed its Secretary.